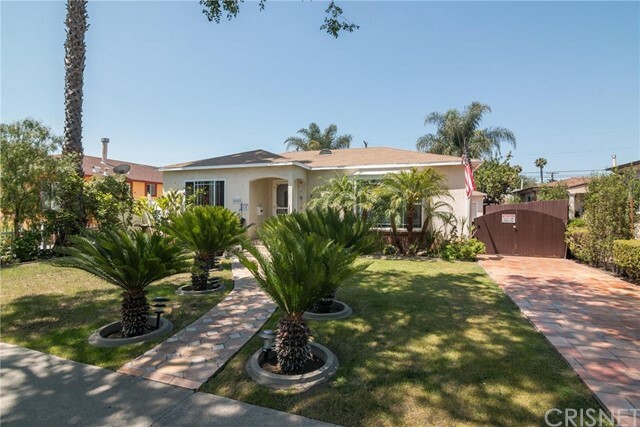 Description: indulge yourself in the california lifestyle in this 2-story contemporary architectural in the highly desirable carlson park area of culver city. natural light cascades through this bright and air open floor plan with a great room that flows to the large back yard, perfect for parties, large and small. cooks and entertainers will appreciate the chef's kitchen with high-end stainless appliances, an abundance of cabinets and oversized island with stunning white zeus silestone waterfall counter top. upstairs, a sun-kissed master with balcony features a spa-like ensuite with soaking tub, shower with bench and separate wc. a loft-style landing upstairs is a perfect space for conversation, creation or meditation. a downstairs guest suite and three additional bedrooms upstairs with ensuite baths provide ample space for family and guests. gorgeous contemporary finishes complete this stunning property in culver city, known for its excellent public school system. Listed By: Morgan Pasco of Morgan Real Estate Group, Inc.